August. During the summer, the stunning landscapes bloom with colourful wild flowers, and are great for hiking in the Arctic. 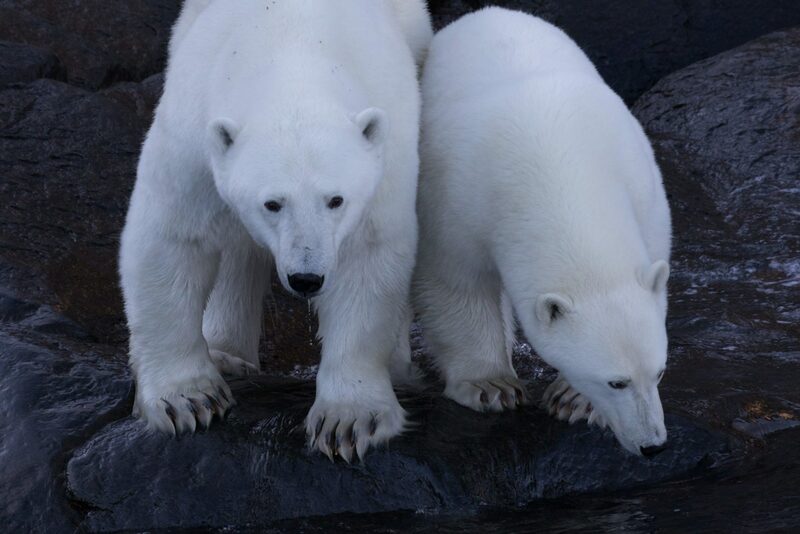 Travellers can view by boat icebergs, glaciers, bowhead whales, and polar bears on land and swimming in the water. 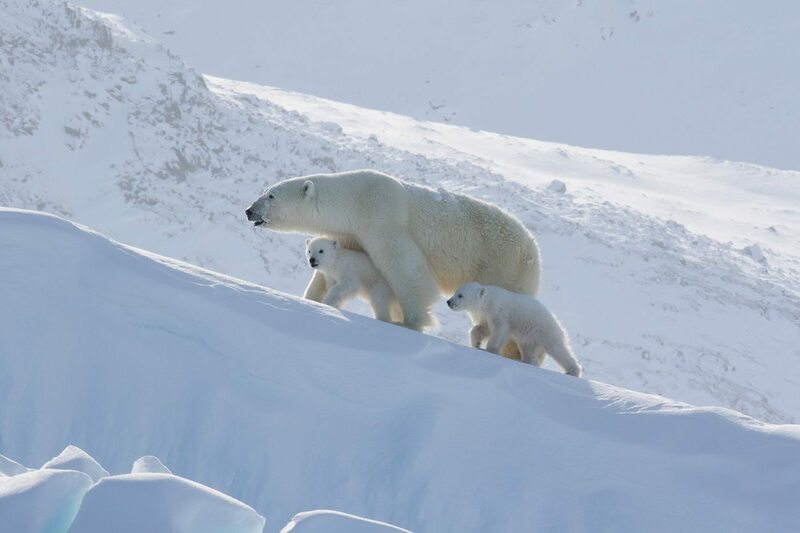 For those looking for a more adventurous experience, in March and April, Qikiqtarjuaq boasts incredible opportunities to view polar bears on icebergs and lounging on the sea ice, as well as the chance to see the Northern Lights. Experience Qikiqtarjuaq in August on Polar Bears & Glaciers of Baffin Island, and in early spring on Spring Polar Bears & Icebergs of Baffin. Travellers to Qik can experience 24-hour sunshine from late May to mid-July, with temperatures averaging around 10°C in July and August. The winter months get quite cold, with temperatures dropping to -40°C. While it can be windy, it is also fairly dry with just 270cm of snowfall each year and 3.5cm of rain. Qikiqtarjuaq means “the big island” in Inuktitut. Called “Qik” for short by the people of Nunavut, the region is predominately inhabited by Inuit. 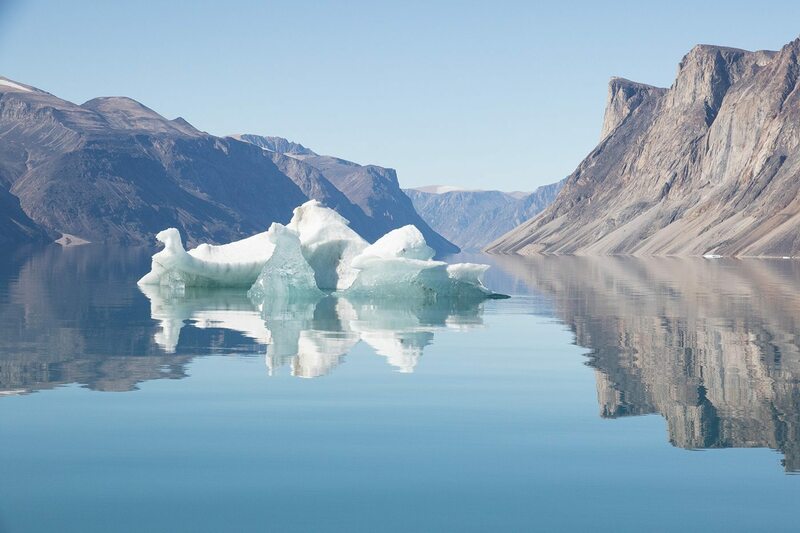 The hamlet is renowned for icebergs (it’s often called the iceberg capital of Nunavut), as well as glaciers, bowhead whales and the presence of polar bears during the summer months. The community provides access to the northern end of Auyuittuq National Park, one of the most remote parks in Canada. Located north of the Arctic Circle, the community enjoys long days of sunlight and seemingly endless sunsets during the summer months. The mountains in the vicinity are the highest in North America east of the Rocky Mountains.